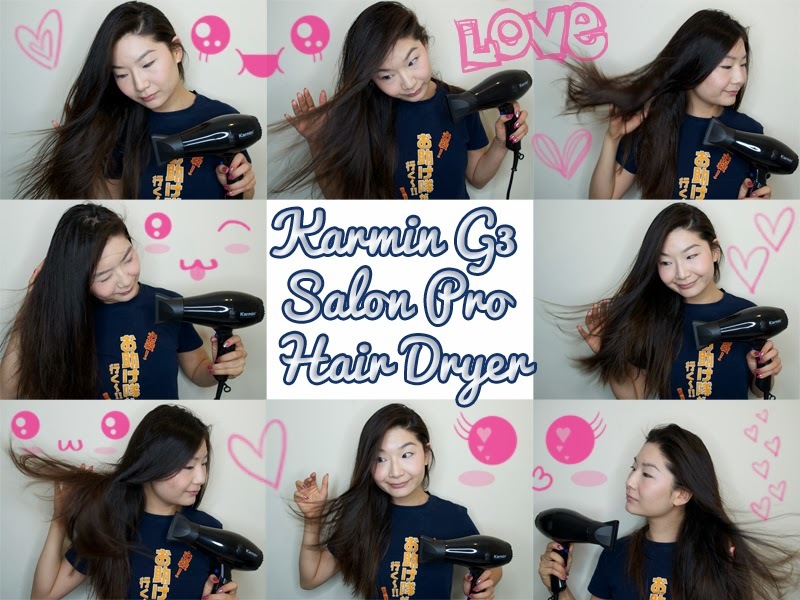 Karmin is proud to introduce a Hair Dryer in their Karmin Professional Hair Tools line. 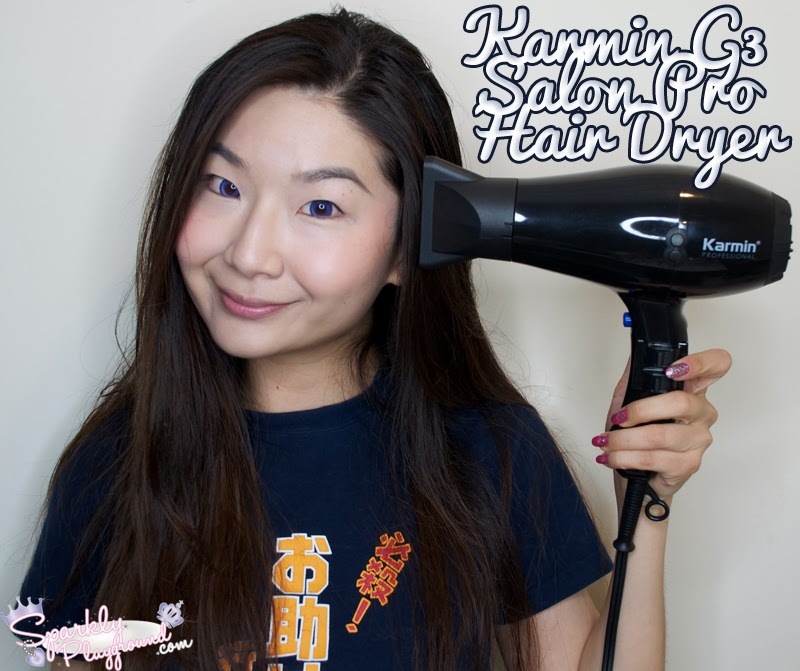 Providing you with exactly what you would expect from the Karmin brand, this professional blow dryer features a powerful 2000 watts for unbeatable power and incredibly fast drying results. The ceramic heating makes for healthier hair styling. The ionic technology produces a faster drying time and emits negative ions for smooth, soft and shiny results. 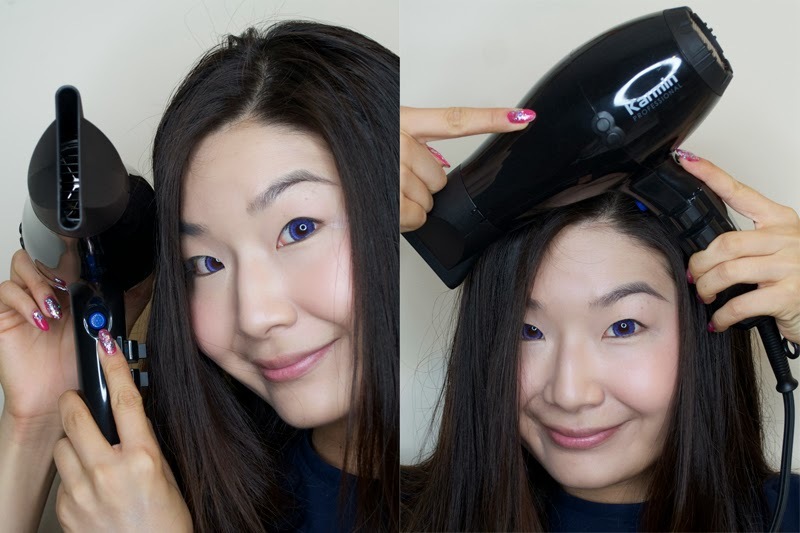 The narrow nozzle attachment allows for you to style and design easily using your favorite hair styling brush as well as concentrate on shaping smaller sections of hair such as your bangs. Ceramic maintains an even temperature for healthier styling and produces negative ions which work to add shine, softness and faster drying. Seals the cuticle. Repels humidity. Locks in hair color. 3) Lay it onto the diffuser in whatever way you like.. dreamcatcher maybe? 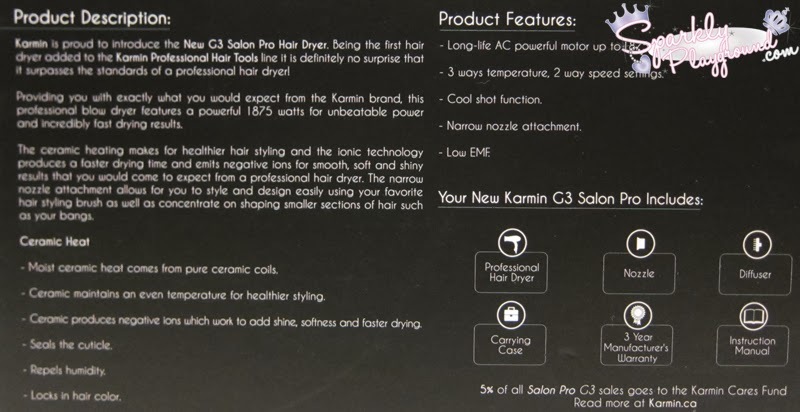 I'm very honoured to be invited to test out a number of Karmin products over the next couple of months! 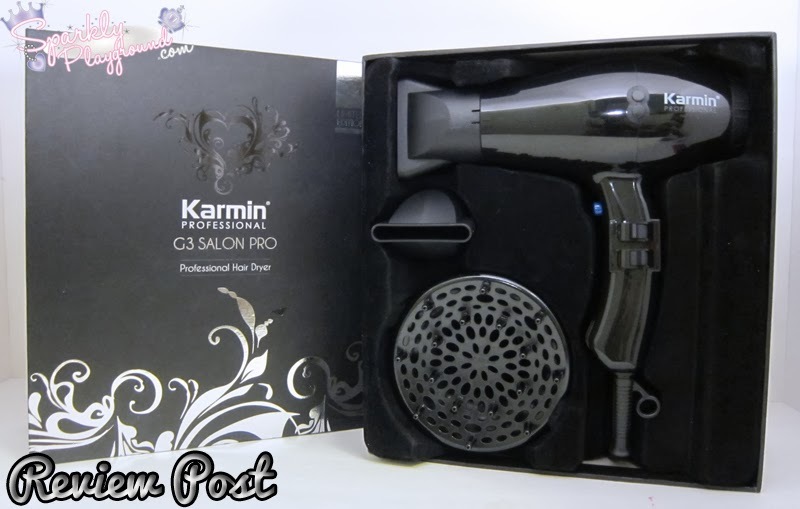 Their first item begin the hair dryer: Karmin G3 Salon Pro Hair Dryer. There will be giveaways as well so please stay tuned to check out how you can win a Karmin product!! I'm sure by now, anyone who has long hair knows how BIG of a difference a hair dryer makes to our daily lives! 1) Sleep earlier - don't need to wait for hair to dry 2) No Headaches - my mom has always told me; if I were to sleep with damp hair, I will get migraines when I grow old 3) No Broomstick Hair - just how can you leave damaged hair dry normally nowadays?! I become a frizz ball without blow drying my hair!!! But it is much more than that. With this product, I learned that Ceramic Heat made a huge difference to my hair. I find that my hair has more volume and healthier than when I use my normal cheap cheap ($10) hair dryers. 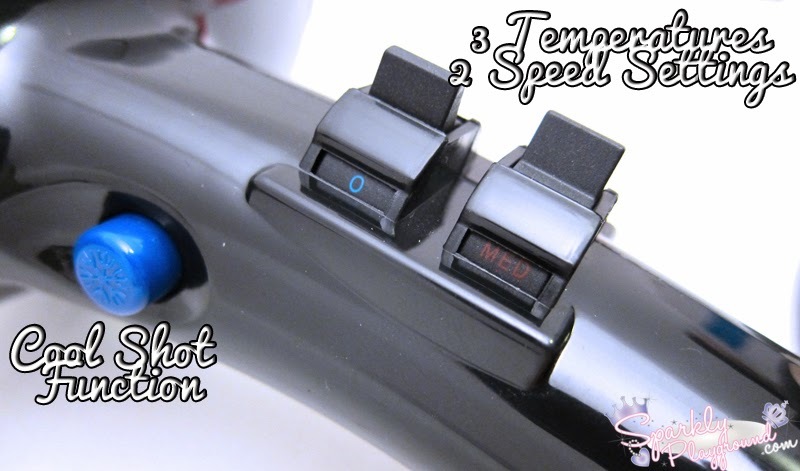 I also like that it comes with different features such as temperature controls, cool air and various diffusers/nozzles so I can switch it up to style my hair in many ways. Another minor feature I overlooked very often is the little knobs on the side! I used to keep dropping my hair dryers when I put them on the table - because they slide when the cord gets pulled! With these two knobs, I never need to worry about that, it doesn't slide on tables or counters! Now, the only thing that I find is a downfall is the weight of the hair dryer and the price. 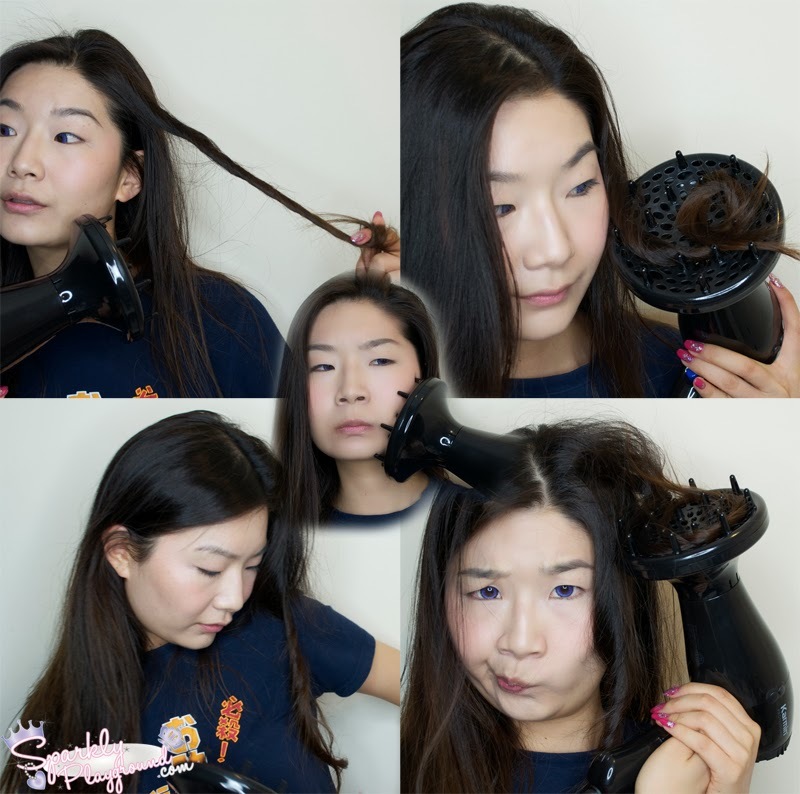 I do find this rather personal because 1) I have the weakest arms ever, I find blow drying my hair is really tiresome and I don't think this hair dryer is a light weigh. Although, it may be the average weight for most hair dryers. 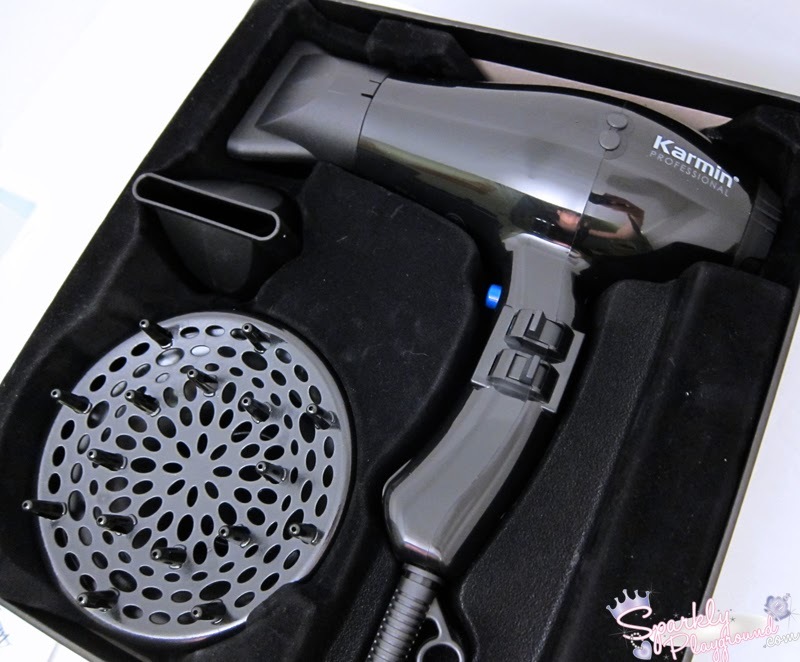 2) Since I'm used to my cheap cheap hair dryers, this price point is a huge jump however rather comparable to many professional hair dryers on the market. So this all depends on your personal preference! Be sure to check out Karmin's Facebook Page!! In the upcoming months, I will be giving away a few of Beyas' products!! *wink*!